Unfortunately, the weather wasn't too great on the day that Caroline and I headed over the Keswick. But the clouds in the sky didn't dull the fact that we had a great time! We started our time there with a wine tasting. 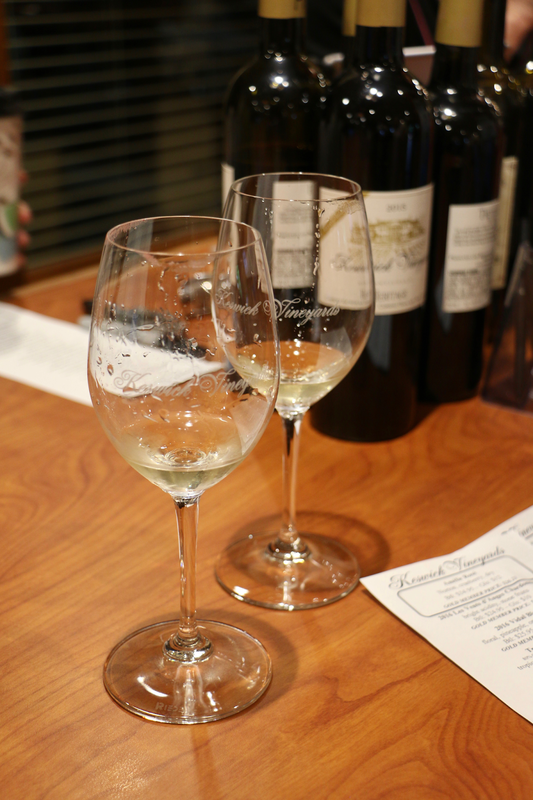 The $12 wine tasting option includes a variety of white and red selections, and we both enjoyed it. We then went on a walking adventure to explore the beautiful grounds! While the wine tasting room at Keswick is very nice, the prettiest part of the winery is by far the manor home that is used for weddings and other large-scale events (the large white home pictured above). The architecture is absolutely stunning, and the fountain in front of it makes it picture perfect! Gazing at the white fences and endless fields of wine grapes make Keswick Vineyards seems something like a dream. 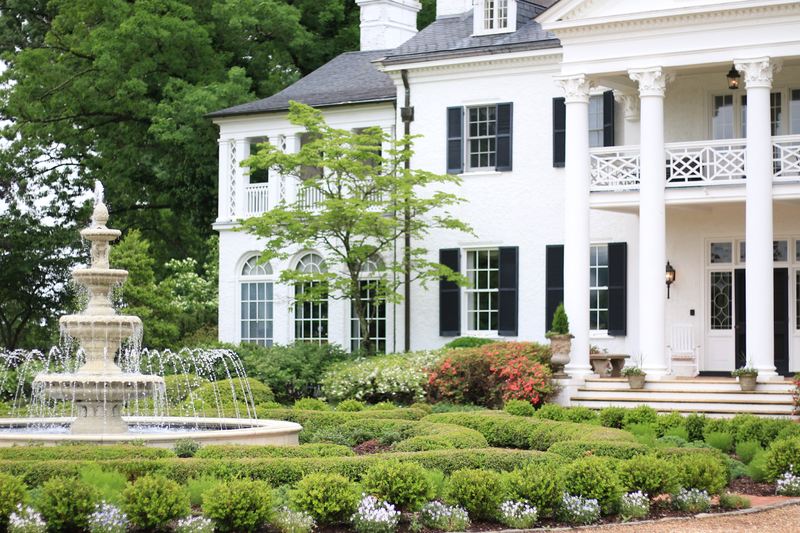 Driving through the small village of Keswick from Charlottesville to get to the vineyard is very picturesque as well- you'll pass miles of farms and rolling hills. Both Caroline and I wore our Hunter boots for this day's adventure, since the ground was still pretty damp from rain the night before. I styled mine with this embroidered jean skirt, which is a little out of my fashion comfort zone, but I really liked how the end look turned out. Winery style is really fun- you can wear something a little dressy (like a nice sundress or fun skirt), and I'd pick your shoes based on how much walking you anticipate doing. If your main goal is to sit and enjoy the wine tasting, heels or wedges would probably be fine! But if you want to walk the grounds and explore the winery in full, flat sandals or cute sneakers would be your best bet (or rain boots in case you have weather like we did!). 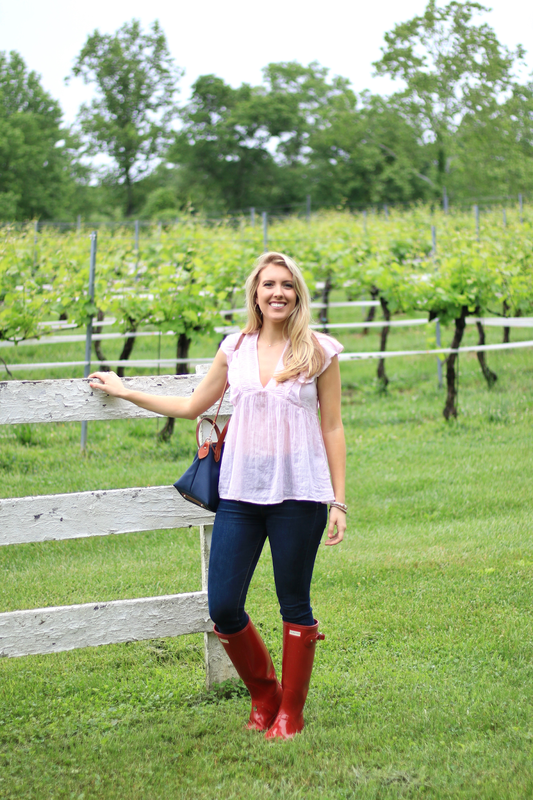 I loved visiting Keswick Vineyards, and hope to go back when the weather is nicer. 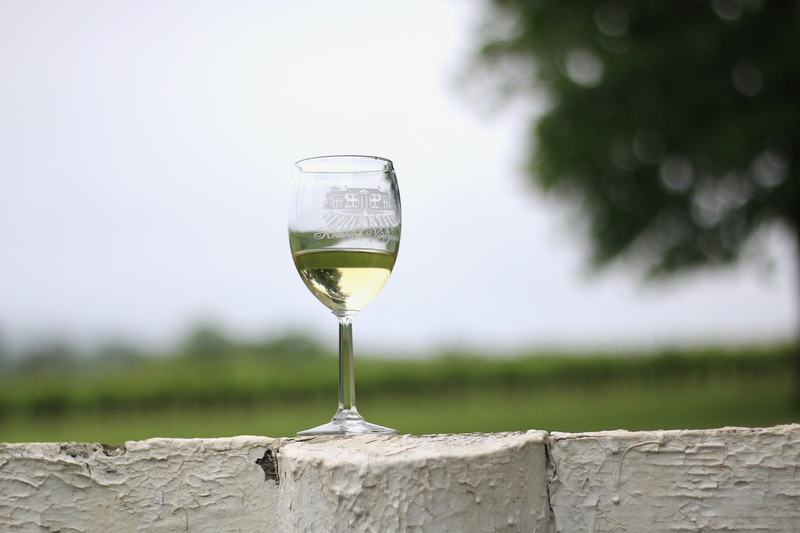 I'm so excited to see the remaining 26 wineries on the Monticello Wine Trail! Are there any wineries where you live? I don't know of any in Southern Maine (where I'm from). Vermont had a couple, but they were very tiny. North Carolina has a lot, but they're in the northern part of the state, so none by Charlotte. Charlotte however is known for its extensive craft beer and brewery scene! If you liked Keswick, you have to visit Pippin Hill and King Family! King Family has polo matches on Sundays throughout the summer/fall. That was always a highlight of my first few weekends back at school! I adore your pink boots! I wish I could wear Hunter's but my calves are too big and I don't fit the tall styles! That skirt is so cute!! I love the pink boots so cute. Okay yes a lot of me and Gabby's friends went to UVA or JMU, and they posted so many fun winery pictures! Since I'm moving up to DC I'll have to find a weekend sometime when I can drive down and check them out! Charlottesville is such a neat town! One of my college friends lives there and I love visiting! I haven't been to many of the wineries but I have been to Pippin Hill and it is wonderful.. I highly recommend! Enjoy your new town! First these photos are gorgeous! 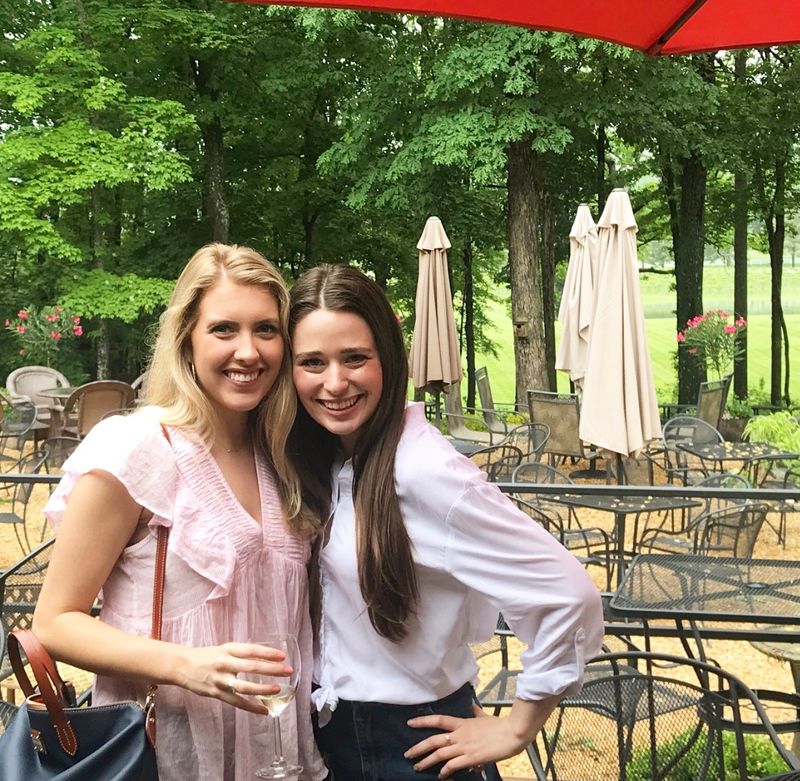 Second- I'm adding visiting a winery to my summer bucket list! I love your skirt, I'm glad you ladies had a great time! Definitely go to Pippin Hill! Blenheim is another really pretty one, and it's right next to Trump, so it's easy to visit both in the same trip! What a gorgeous place to visit! And despite the weather, both of you look so cute in your boots! How fun! I'm visiting VA soon and have to put this winery on my list. That winery looks beautiful! It sounds like you had a great time. And I love your skirt! 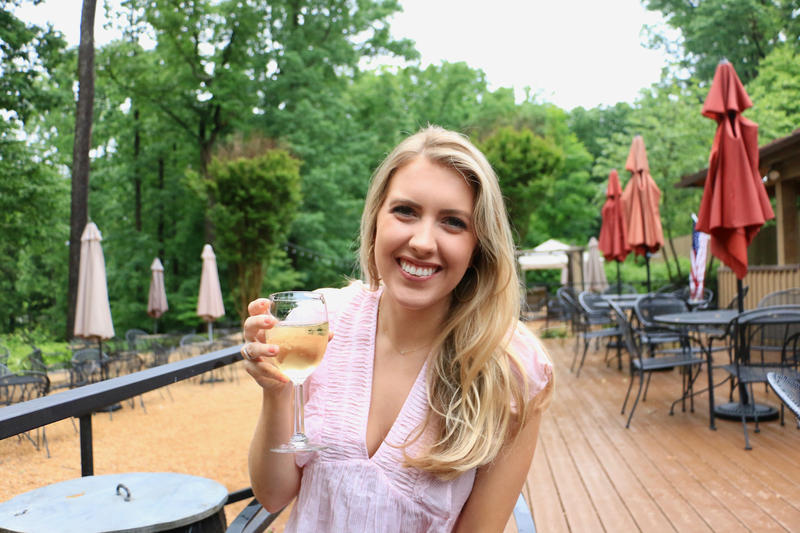 I love doing wine tours - Charlottesville has such amazing wineries! I've never been to Keswick but I'll definitely keep that vineyard in mind the next time my friends and I do a wine tour! omg gorg!!! i went to a couple wine tours this weekend. they are so fun! This looks so fun! 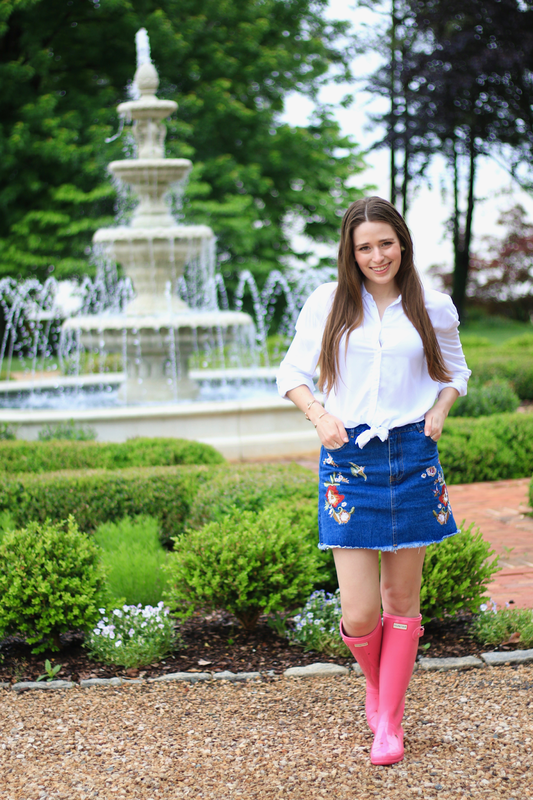 I am loving the Hunter boots!